Earthing material is extensively used in electronic equipment, to prevent any shock and damage to them. DHY Trading Corporation is one of the peerless Earthing Material Manufacturers in Mumbai, India. Our offered materials have good thermal and electrical conductivity to ensure durable performance. All of them are mostly made of GI or copper to ensure the safety of the operation. Earthing Materials are important for proper earthing, which protect the human and appliances both from leakage current. We have manufactured and test our products, under the supreme guidance to offer quality-oriented final products to the customers. They also help in avoiding the fire accidents in electrical installation system, thus, have a huge demand in the market. To avail these electrical earthing materials in diverse specifications, contact us through the given details. 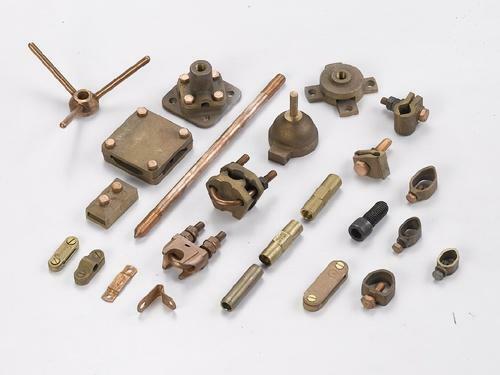 Being the most successful Electrical Earthing Materials Suppliers and Exporters, we have quality and quantity both to offer under the same roof. Contact us now to share your requirements.